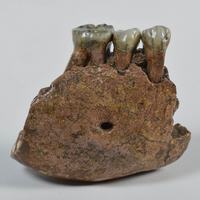 Archaeologists unearthed the remains in a farm north of the doomed Italian city. The eruption of Mount Vesuvius in 79 CE that buried the residents of Pompeii in ash and rock also entombed their domestic animals, and archaeologists recently found one. 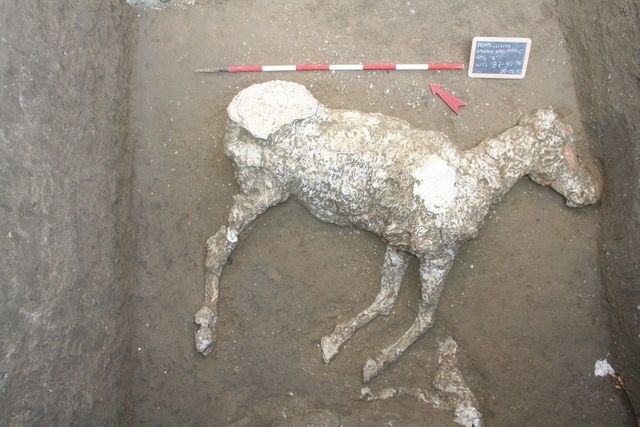 On May 10, researchers at the Archaeological Park of Pompeii reported that they uncovered the remains of a horse in a villa to the north of the city. They made a plaster cast of the find. Massimo Osanna, director general of the park, tells CNN that the horse was “remarkable” and probably was a thoroughbred. “The things that’s really interesting is that within the walls of the property we’ve found evidence of cultivation,” indicating the villa was used for farming.